Looking for a vacation photographer? Are you going on vacation to Bonaire, and would you like to preserve your memories without having to leave the frame? Hiring a vacation photographer is the easiest way to ensure that you’ll always be in the picture during your own holiday. Whether you’ve planned a special moment with your family and loved ones or simply want to explore the island, BonPhoto can provide a vacation photographer for the occasion. We are well-acquainted with the island and all its most beautiful features, which makes us the perfect vacation photographer for your trip.  Would you like to know what a private photographer can do for you? Explore our website and discover what BonPhoto has to offer. Working with a vacation photographer has a number of advantages. First of all, we’ll make sure you’re always in your own pictures. That way, you’ll alwaysbe present in the visual mementos you take back home with you. Naturally, practicality isn’t the only reason to hire a vacation photographer. When you work with a local vacation photographer, you’ll be able to see the most beautiful and photogenic places on Bonaire. Our professional photographers can take you on a tour around the island and show you all the hidden gems you might otherwise have missed. Likewise, your vacation photographer can accompany you while you dive and guide you through the underwater world – all while taking stunning pictures of your journey. Are you looking for a professional vacation photographer? Would you like to be able to focus on your vacation without having to worry about missing a unique photo opportunity? If so, you’ve come to the right place. The photographers at BonPhoto have years of experience with both terrestrial and underwater photography. If you want to get a good idea of what a BonPhoto vacation photographer can do for you, our portfolio provides a perfect overview of our work. Are you interested in hiring a vacation photographer, or would you like to know more about our rates and custom options? If you have any questions or requests, feel free to contact our staff. BonPhoto is always happy to discuss the possibilities with you.